For more than twoa decades, SunRise Imaging has been helping organizations in a variety of industries increase productivity, reduce costs of operations, and make their archived images readily available in electronic format. Below are typical success stories. With their existing scan on demand system operating at full capacity and an impending 50% increase for access to their microfilm records, this client looked to Elision for a solution that would enable them to meet the targeted increase in productivity with existing staff resources. Read more..
SAIC employed five SunRise scanners to complete a project involving the digitization of over 100 million government employee records on microfiche. The scanners ran simultaneously, eight hours a day, six days a week. Read more..
By using FileNET’s document management software along with the SunRise scanner to automate their paper flow process, First Union now guarantees a microfiche document turnaround of 24 hours, a 300% improvement over their previous methodology. Read more.. Using the SunRise 2000 scanners, COMPEX significantly improved the quality of the documents they captured from microfiche. In addition, COMPEX can now share documents via the Internet, thus significantly expanding their business capabilities. Read more..
CKV needed to make its massive library of microfilm data available in the company’s FileNET archive. 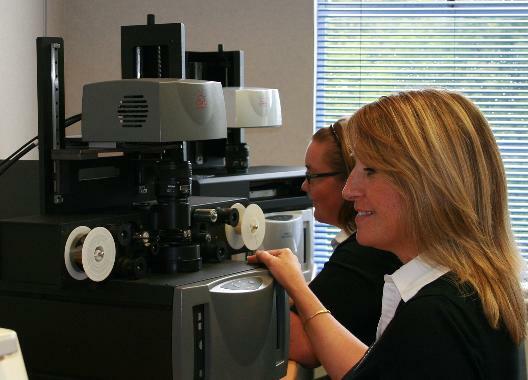 After extensive analysis, they determined that the SunRise microfilm scanner was the best choice for the job. Read more..
Bell Atlantic had 1.9 million paper pages that were microfilmed on planetary cameras on site. The company used SunRise equipment to scan and compress the 16mm roll film. Scanner output was downloaded on Sony Optical Magneto Platters for shipment to customers in record time. 2.0 Million microfilm frames of historical documents were converted on SunRise equipment to digital files and subsequently incorporated into an easy-access storage and retrieval system for use by French librarians. The system significantly reduced the amount of time needed for research projects. RCMP’s Criminal History System (CHS) includes a database capacity of up to 36 million document images and interfaces to several RCMP systems. Day-forward document imaging and conversion of existing microfilm images are accomplished with specialized SunRise scanners. The system allows RCMP to access crime-related documents more quickly and ultimately results in faster arrests. The SunRise scanners have increased efficiency and lowered costs for the FIC Insurance Group because they no longer have to copy documents, but can now produce document reproductions from digital files. Having documents in digital allows multiple people to view a single document, which increases productivity and accuracy. Read more..
Columbus Life Insurance considered a service bureau to scan their jacketed fiche, but decided that it made more sense to do the scanning in-house using SunRise scanners. Read more..
MACESS determined that only the SunRise scanner was capable of achieving the Retirements Systems of Alabama (RSA) stringent objective of digitizing nearly 14 million microfiche images to be as legible as the original film image. Read more..